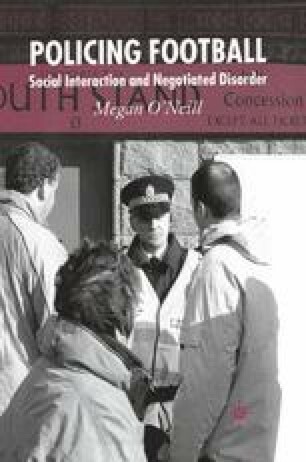 This chapter will consider what the government has published on the topic of football policing and supporters through their reports and legislation. It is important to know what the government has written about football supporters, the legal powers the police have at their disposal and the corresponding rights of the supporters before analysing my own research on interaction in football policing. When considering the interaction that actually takes place, it is interesting to note whether or not these statutes are employed, or if more informal rules come into play. As such, I will discuss the Green Guide (1997), the handbook published to guide the analysis of stadium safety, and the current football legislation for England and Wales and the legislation for Scotland. While much of the legislation for these areas is similar, there are important differences to keep in mind. Primarily, laws for the English game do not usually apply north of the border.